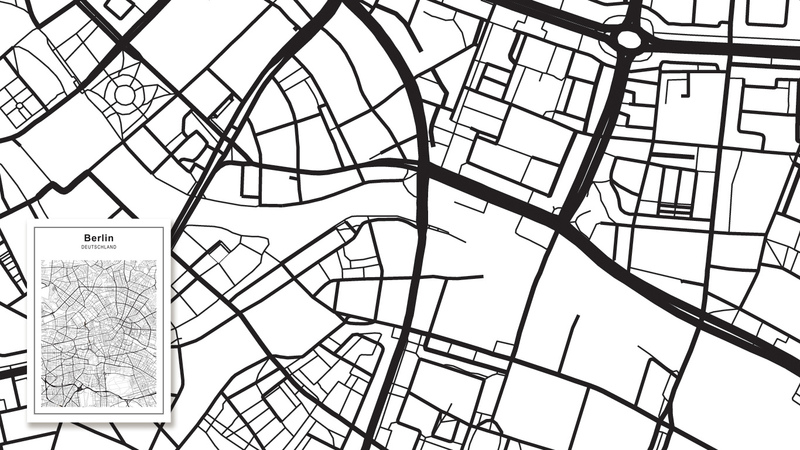 Illustrative maps are products of manual labour that highlight the map. 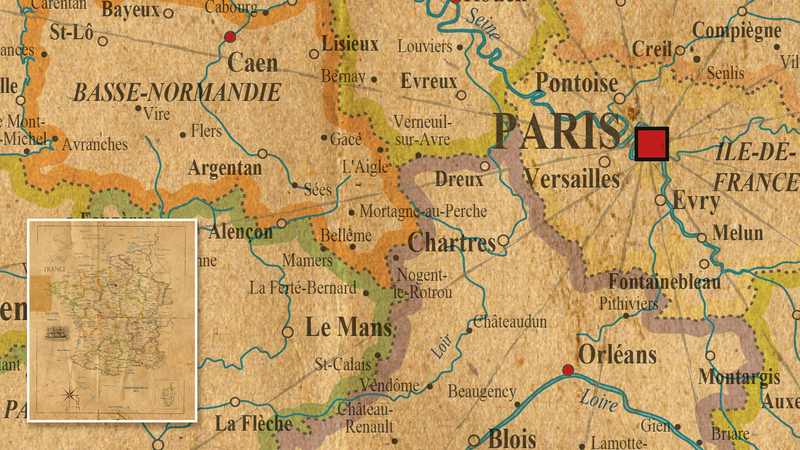 Map elements that are processed with extra care and often have a graphic appearance. This type of map has many different variants and can be created and designed as you wish. For example, the maps used for an amusement park are very illustrative. The illustrations on the map are the most important, and creating a good vibe is key. The emphasis on the illustrative map is not on the informative part. However, this does not mean that this is excluded from the map. 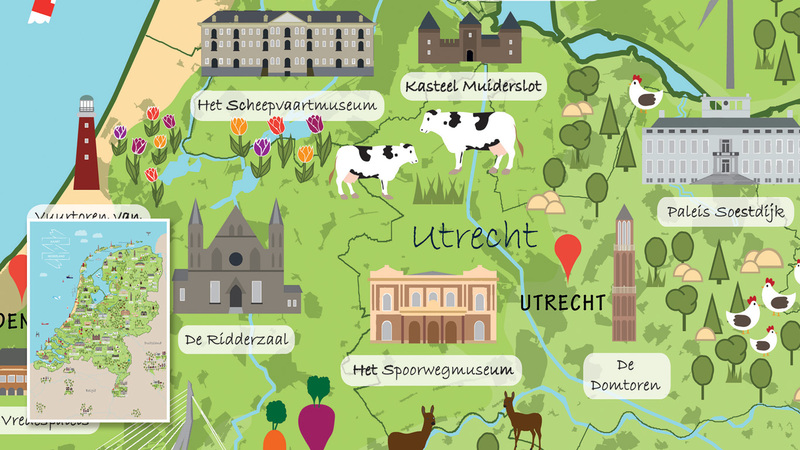 An example of an illustrative map that still remains informative is this children's map of the Netherlands with expressive colouring. It is clear that the informative part is of secondary importance, the main purpose of the map is to create a certain emotion: happy, childlike, playful, with a touch of information. Illustrative maps are not limited to maps for children though. Maps like these can bring out an emotion, like a photo. And can be literally layered with informative map info. Another example of the illustrative part is a map of the Netherlands with every football club in the Eredivisie and Jupiler League. Using playful elements, such as trees, grass and playing soccer players, the map gets an illustrative makeover. By adding the stadiums with the clubs' logos, the map becomes even more lively and makes it a little more fun, more suitable for the younger audience. Compiling a map is pretty straight forward. 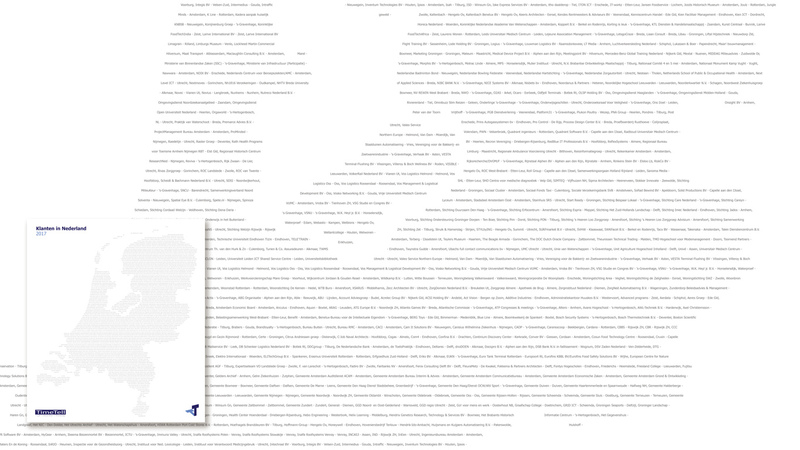 Our team is able to fully incorporate all wishes into a design map. Feel free to contact us to discuss all possibilities available, either by telephone, by email or via chat.